Two upholstery projects delivered on the same day to Haddonfield, NJ. Both were upholstered arm chairs. One had a skirt and an ottoman. They both sported new stripe fabric patterns. They both reached out to us via email. With photos. 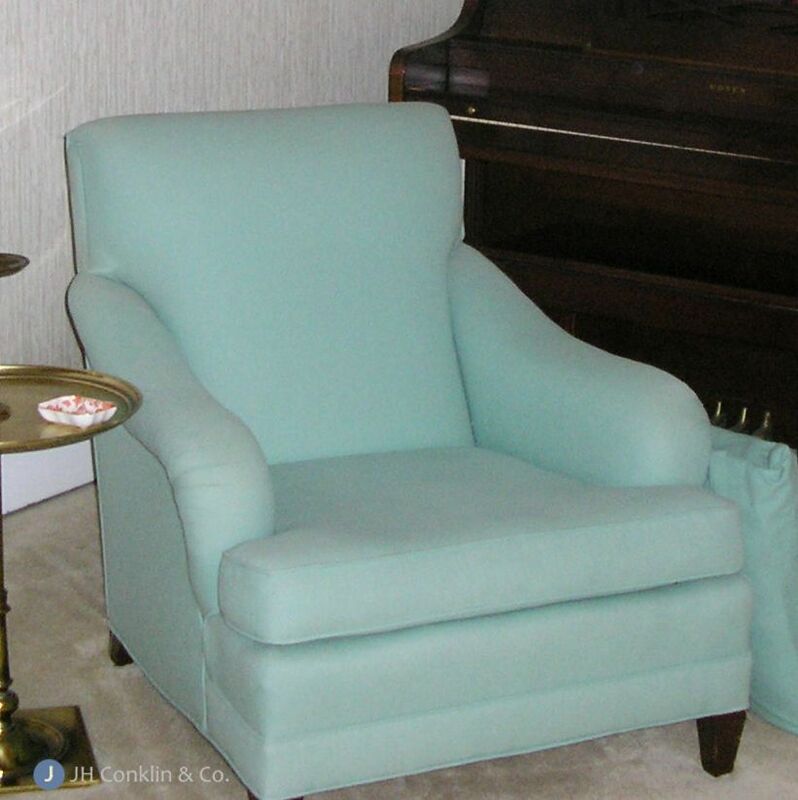 "I have a chair and ottoman that is currently covered with floral cotton. I need to find a fabric that ties in with the existing decor but need a more durable fabric as it seems to be everyone's favorite chair. And the thin cotton fabric is not holding up very well at all." "In the next few weeks, I will be acquiring a 50+ year old armchair that needs to be reupholstered. I am attaching two photos - one of my sofa and one of another armchair in the living room. Could you suggest some fabric to complement the furniture already in the room?" Well, not only the thin fabric going threadbare! The chair disappeared into the rug! A floral pattern chair on a floral pattern rug in similar colors. Where IS that chair? What? Your room can't handle an aqua colored fabric? More seriously, it is hard to imagine a furniture manufacturer using this as a stock fabric. Maybe it was re-upholstered before. "I sent most of the samples you requested, some were discontinued. I also sent some options that might work, some stripes and mini patterns. 26 total from different houses. Have fun!" She selected a fabric from Kasmir Fabrics. 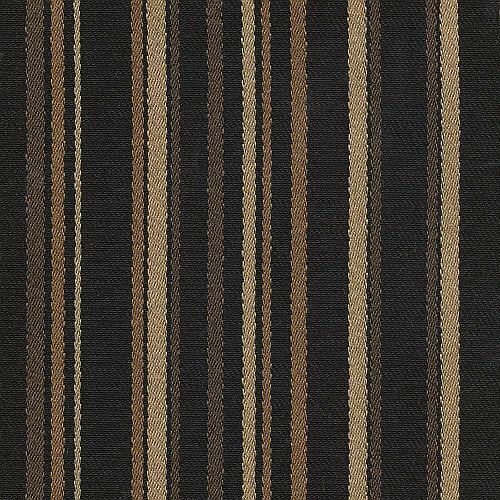 The pattern Provost color Onyx. Made with polyester and Rayon, it rates as a heavy duty fabric. The repeat is 7 inches. Nanotex stain protection. "I received two packets of sample fabric yesterday. It's fun to open the packages and see what you hand picked for me. I'll be in touch once I've received all of them. Thanks for taking care of this." A fabric from Greenhouse got her approval. The pattern 73421 color Cornflower. 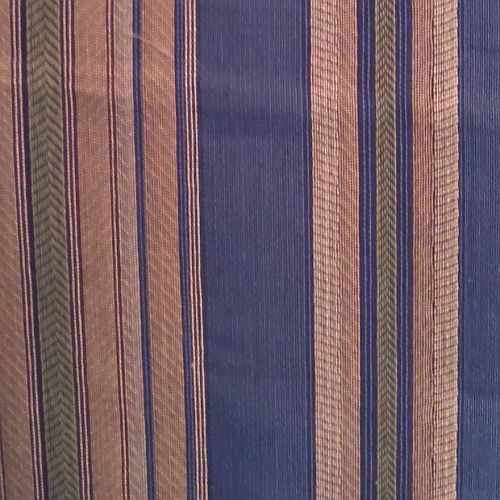 A cotton/poly blend, it rates as a medium duty fabric. The repeat is 9 inches. Pick up and delivery included. Furniture upholstery shop serving neighborhoods near Haddonfield in Camden County and the southern New Jersey region.